President Donald Trump's budget wish list released Monday included a $22 million cut to the Office of the National Coordinator for Health Information Technology, a proposal that could make the agency struggle to implement some provisions of the 21st Century Cures Act. As he did last year, Trump is calling for a 37% cut to the ONC's budget for fiscal 2019. The ONC's remaining $38 million would be part of the broader proposed HHS budget, which Trump intends to slash by $18 billion. Congress recently passed a two-year budget deal, and it's unclear whether lawmakers will act on any of Trump's budget ideas. "It's hard to think that for ONC a 37% cut in their budget would be feasible given what they're tasked to perform under the 21st Century Cures Act," said Valerie Montague, a partner at the law firm Nixon Peabody. "If the cuts were to through, we'd see less progress or slower progress." But if Congress does enact similar ONC cuts, they could stymie data exchange, said Pamela Lane, vice president of policy and government relations for the American Health Information Management Association. "The ONC is an integral part of the nation's health IT infrastructure, and any depletion of its funding would inhibit the adoption of health information exchange nationwide," she said. "Adequate funding to the ONC and promotion of health IT helps improve the quality and affordability of U.S. healthcare." The ONC is in charge of implementing parts of the 21st Century Cures Act, which encourages the adoption of health IT. But Trump's requested cuts could make it hard for the agency to put in place some of the law's requirements. "The 21st Century Cures Act health IT provisions are lengthy and fairly detailed and require a significant amount of activity and rulemaking by ONC," said Dr. David Kibbe, president and CEO of DirectTrust, a not-for-profit collaborative to support interoperability. "Will this become a time and resource crunch for ONC if they continue to lose staff? I sure hope not." Specifically, the ONC could have trouble implementing the EHR-reporting program, through which vendors supply interoperability and usability data about their software. Ultimately, that could harm patient safety, said Ben Moscovitch, manager of health IT for the Pew Charitable Trusts. 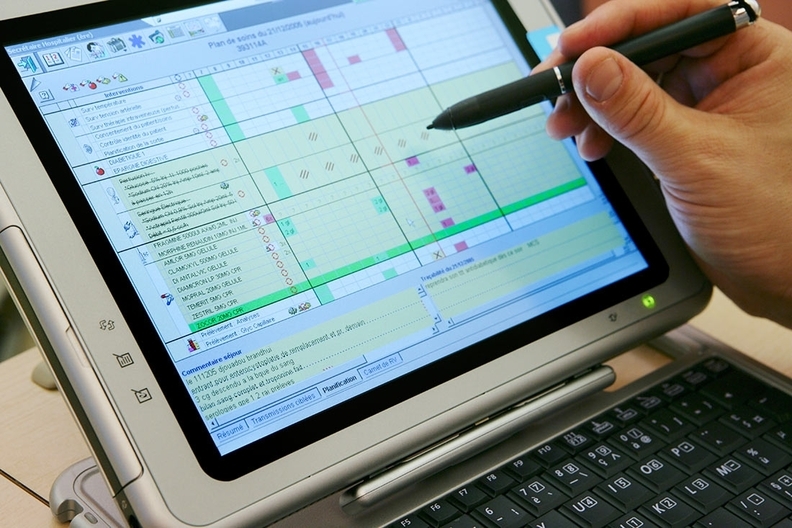 "Many of the same usability challenges that can lead to clinician frustration can also contribute to patient safety problems," he said. "Additional data on interoperability and usability can better equip clinicians and hospitals with information on the systems they use." The budget cuts could also hamper the ONC's interoperability push, Montague said. "If you're not properly funding these endeavors, you're not going to get to the finish line with respect to having all that information at the point of service," she said. "You're not going to have the complete set of information as quickly or fully." On the other hand, a less active ONC could be a good thing, Athenahealth CEO Jonathan Bush said. "Less is more," he said. "Maybe soon they'll get out of the business of specifically requiring product features." Those requirements hurt innovation, according to Bush, and aren't necessarily effective. "The idea of prescribing specific product features doesn't help the quality of care or the coordination of care."